DHAKA (Reuters) – Bangladeshi Prime Minister Sheikh Hasina considers being called authoritarian by the western media a “badge of honour”, the leader’s son told Reuters on the eve of a national election on Sunday. 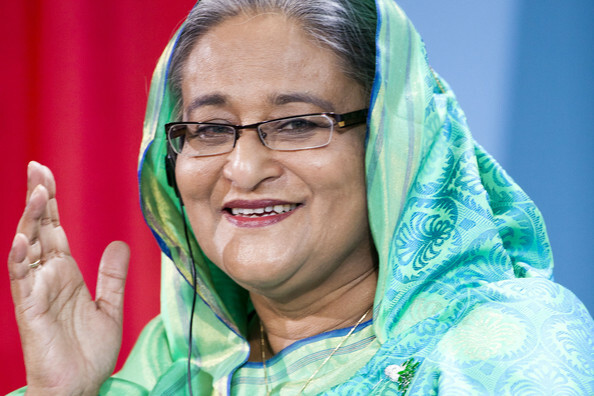 Hasina, who is widely expected to win a third straight term in office, has been hailed domestically for fast economic growth in the past decade and internationally for providing refuge to Rohingya Muslims fleeing persecution in neighbouring Myanmar. But her government has been accused of suppressing dissent and jailing critics, including many supporters of the main opposition Bangladesh Nationalist Party (BNP). Many journalists say she has intimidated the media by using vaguely worded laws against them. Hasina’s son Sajeeb Wazed, however, told Reuters there was space for dissent in the Muslim-majority country of 165 million people, and that the Western media was unfair in its portrayal of his mother. “You know what my mother told me this morning? ‘Branded authoritarian by the Western media now is a badge of honour'” Wazed, who lives in Washington D.C. and runs an IT business in the United States, said in the prime minister’s official residence in Dhaka.